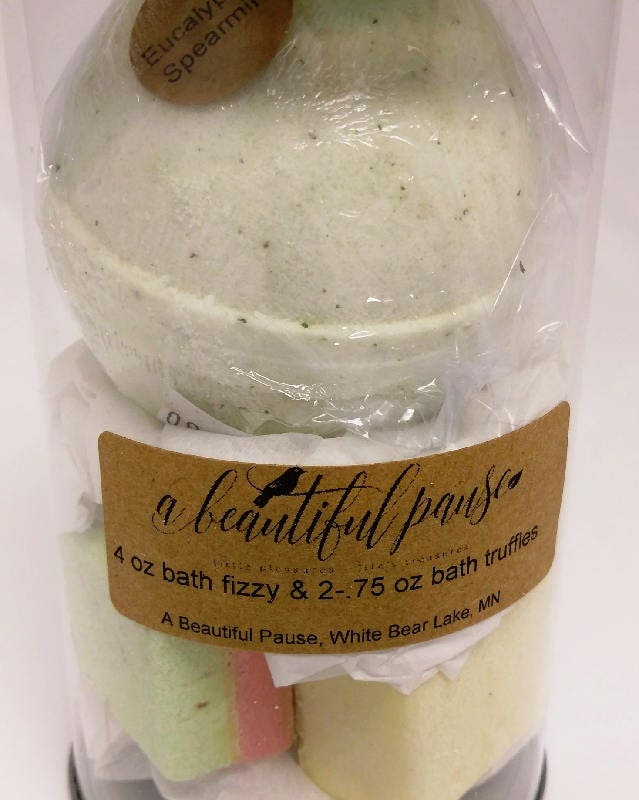 A great way to gift someone with a pause of relaxation and self-care. 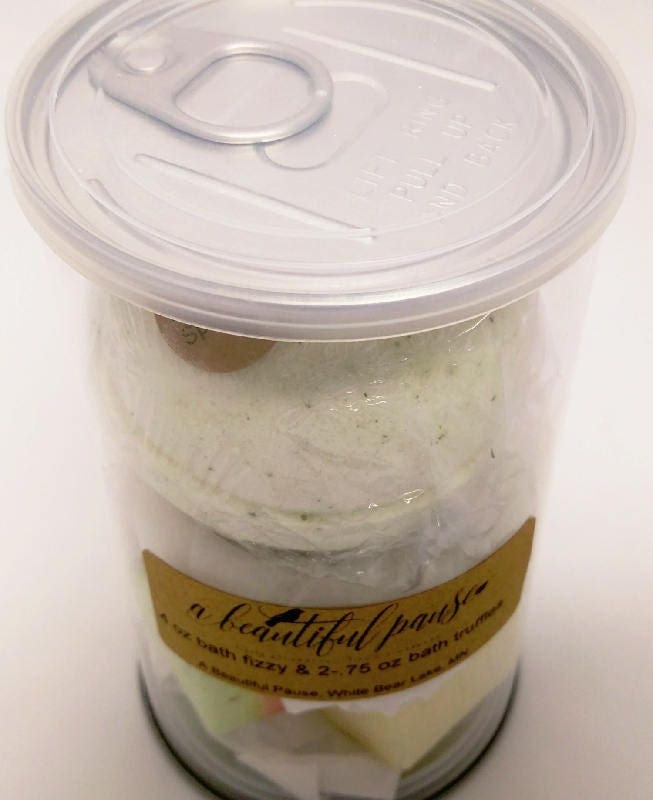 The pop-top canister holds one bath fizzy and two bath truffles. Both products are vegan. 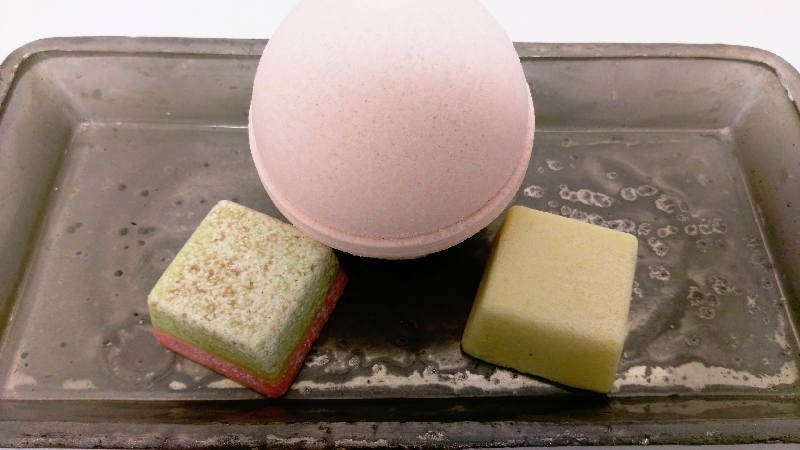 The fizzy, well, fizzes when placed in a warm bath. As it fizzes away, it releases the fragrance into your water. Relax and enjoy! 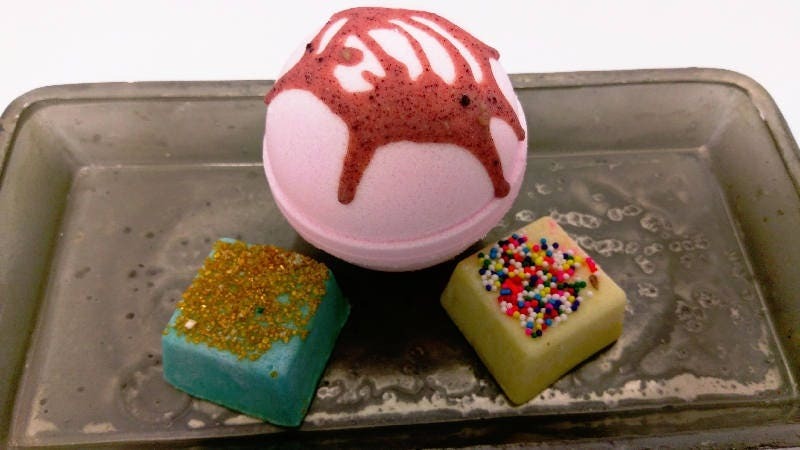 The truffles are made of organic, non-GMO cocoa butter. 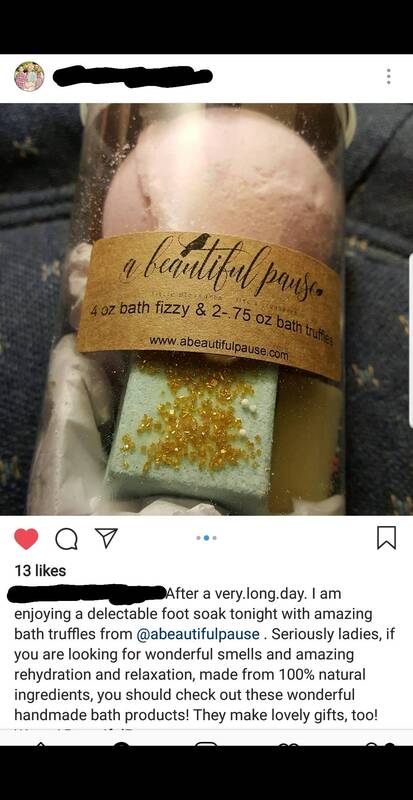 Drop one into your bath. It will fizz a little, although not as much as a bath fizzy, and as the cocoa butter melts, it will moisturize your skin. It's like adding lotion to your water. You can also cut the truffles in half and use as a foot soak to pamper your feet. 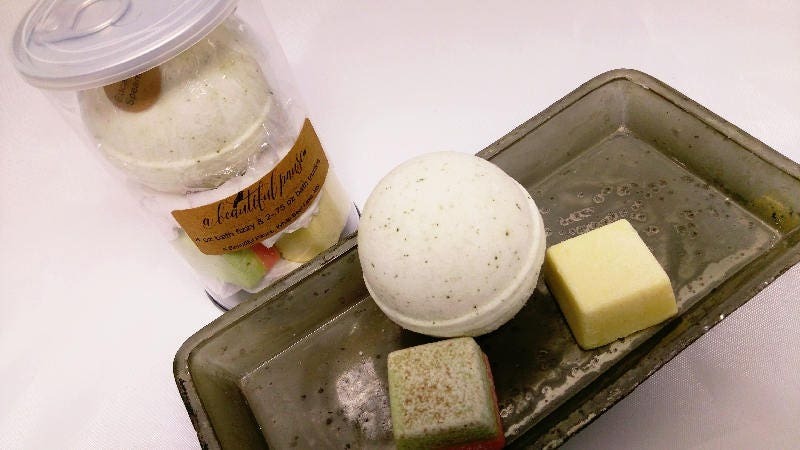 Each bath fizzy weighs 4 oz, and the bath truffles are .75 oz each. The bath canisters make excellent gifts for moms, caregivers, teachers, students, or yourself. They are also wonderful party favors. Think bridal showers, birthday parties, girls' nights! Because they are handmade in small batches, the color may vary slightly from batch to batch. These are for external use only, not to be eaten. The oils in the products may cause the tub surface to become slippery, so use caution when exiting the tub and rinse tub well when done. Colorants are from natural plant or mineral products. They may leave a residue on your towel, so it is recommended that you rinse before drying off or use a dark towel. If you would like to order multiples, contact me. I have only listed them as singles on the web site, but I am able to fill larger orders. Discounts will be given on orders of 10 or more.